What is it like to have the World’s Best Job? Last summer, we announced that we were hiring for the World’s Best Job and launched a search for someone that would be our brand ambassador. Their days would be spent acting as our on-location social influencer, gathering content by experiencing all of the comfort, relaxation, cuisine, adventure, and luxury the Vidanta destinations have to offer. While Andrea gets up to speed on all things Vidanta, we were curious to learn more about her journey and current outlook on life. If anything, her answers just confirm that we picked the right person to soak up the rays with us for the next 12 months. 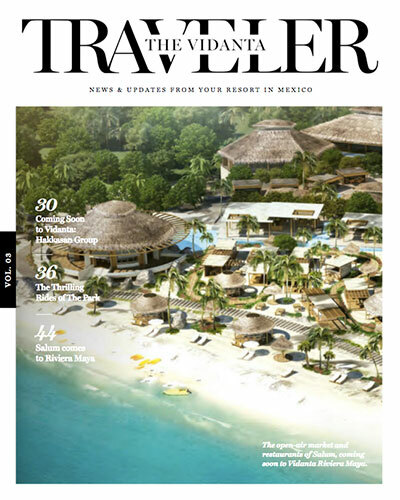 The Vidanta Traveler: Vidanta is all about happiness, what’s your recipe for happiness? Andrea: It’s definitely all about being grateful! TVT: Describe a magical moment you had during your travels. Andrea: The first time I saw wildlife in Serengeti National Park, it changed my life. I had never seen such a manifestation of life with so many animals roaming free, living their lives one day at a time. I realized there was so much I could learn from them in that moment. TVT: What are you looking forward to experiencing the most at Vidanta? 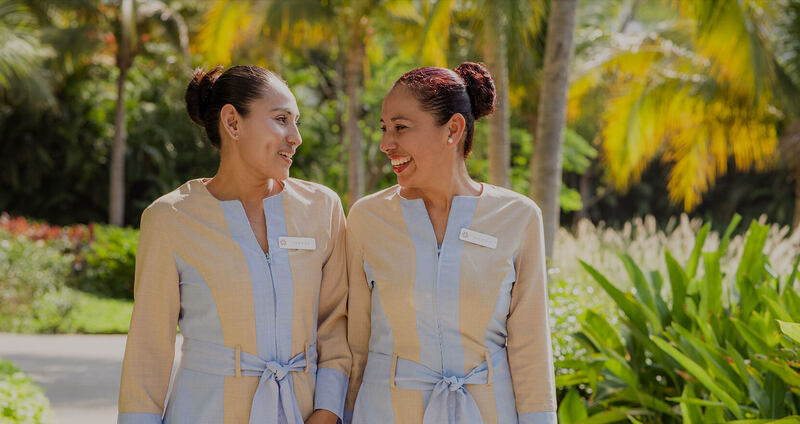 Andrea: I want to experience all that Vidanta has to offer, get to know the lovely people who work here, make friends with guests, and share some great travel stories! TVT: What are you most excited about trying for the first time at Vidanta? 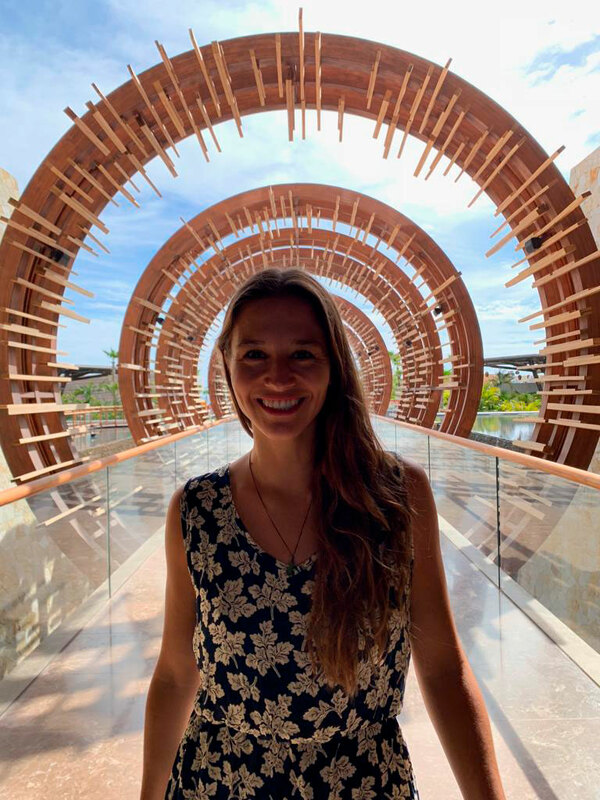 Andrea: I’m hoping to join Cirque du Soleil JOYÀ 2020 if they will have me… Ok, for real, I’m really looking forward to checking out Vidanta Riviera Maya! TVT: What are your favorite things about Mexico? Andrea: I love its people, culture, the colorful and vibrant traditional dresses, the diversity of its beautiful landscape, quesadillas, and—of course—guacamole! 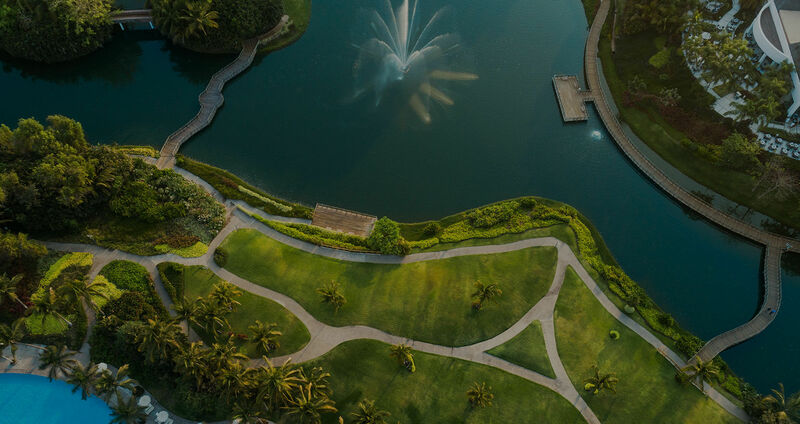 TVT: What do you love most about Vidanta? Andrea: Oh man, I’m crazy about the people! Everywhere I go, they are always smiling and have such a friendly attitude, always eager to lend a helping hand. TVT: What’s been your mantra lately? Andrea: Make every day count! TVT: What are the biggest lessons you’ve learned from traveling for the last 3 and a half years? Andrea: I’ve learned about myself, what I like, how strong I am, what brings me joy, why I react certain ways in certain situations. I’ve also learned about people, and to surround myself with positive, warm-hearted, good-intentioned people. Through these lessons, I think I’ve been able to make the most out of traveling and have used it become a wiser, kinder human being. To learn more about Andrea and her journeys follow her social media channel here, and keep watching our stories on our Instagram channel to get your daily dose of paradise! Feeling the call of travel? Call 1-800-292-9446 to book your spot today. See you soon!